BUTUAN CITY, Apr. 22 (PIA) – In line with this year’s Labor Day celebration, the Department of Labor and Employment (DOLE) Caraga has prepared activities on May 1 that will kick-off with a Thanksgiving Mass at the St. Joseph Cathedral, this city. A foot parade will follow right after the mass and an opening program highlighting the 2014 Labor Day Job Fair for local and overseas employment. “The mass will start at 6:15 a.m. at the Cathedral to be followed by a foot parade at 7:30 a.m. going to Robinson’s Place Atrium, where the opening program will be held. This will be participated by the representatives of the region’s labor, management and government sectors including the informal and Overseas Filipino Workers,” bared DOLE-Caraga regional director Atty. Johnson Canete. Along with the Jobs Fair, a bloodletting activity will also be conducted at the same venue. DOLE’s attached agencies such as the Technical Education and Skills Development Authority (TESDA), Regional Tripartite Wage and Productivity Board (RTWPB), Overseas Workers Welfare Administration (OWWA), Philippine Overseas Employment Administration (POEA), National Conciliation and Mediation Board (NCMB), National Labor Relations Commission (NLRC), Occupational Safety and Health (OSH), Employees' Compensation Commission (ECC), National Reintegration Center for OFWs (NRCO), and Professional Regulation Commission (PRC) will be there as well to serve its clientele. Moreover, men and women will also enjoy the free massage, manicure and pedicure. A booth for the One-Stop-Shop processing of documents for the Social Security System (SSS), Philippine Health Insurance Corporation (PhilHealth), Home Development Mutual Fund (HDMF)/Pag-ibig, National Statistics Office (NSO), National Bureau Investigation (NBI), and Department of Foreign Affairs (DFA) will be installed at the Atrium area. BUTUAN CITY, Apr. 22 (PIA) – The office of the Agusan del Norte provincial director of Department of Trade and Industry (DTI) has authorized and ordered the disposition of forfeited products by way of destruction for being unsafe for public use. The activity is set on Wednesday, April 23, 2014, 10am at the Butuan City Hall grounds. According to Officer-in-charge Gay Tidalgo of DTI Agusan del Norte, the destruction is a result of enforcement activities conducted within the area of jurisdiction and after due process, various non-conforming products from several establishments were confiscated in favor of the government. As part of the mandate on consumer protection, DTI Caraga is firm in implementing the Product Standards Law and its implementing rules and regulations (IRR) whereby business establishments are prohibited from selling or offering for sale of products covered by mandatory product certification which do not comply to the requirements of the said law and IRR. AGUSAN DEL SUR, April 22 (PIA) - Truckloads of people while others were riding in their own vehicles and motorcycles started to move towards the foot of the Mt. Magdiwata in San Francisco town, this province at around 6:00 a.m., Tuesday to take part in the tree planting/parenting of the denuded portion of the mountain. Mt. Magdiwata is the main source of fresh and clean water of San Francisco and was declared as protected forest and watershed area by then President Fidel V. Ramos. The participants, numbering around a thousand, have to walk almost two kilometers up the mountain where the local government of San Francisco thru its Municipal Environment and Natural Resources Office (MENRO-LGU) and the Department of Environment and Natural Resources- Provincial office (DENR-PENRO) stored the prescribed seedlings of Toog trees to be used during the tree planting/parenting activity. Toog tree is a rare specie found only in Agusan del Sur, part of Agusan del Norte, also part of Compostela Valley and Surigao del Sur. After a short briefing of the objective of the tree planting/ parenting by Dr. Rex Linao and the procedure of planting by Forester Danilo Sarong, seedlings were distributed and the participants have to walk again about a kilometer up hill to the planting site in order to plant the seedlings. “Because of heavy rains that hit Agusan del Sur these past few months including some illegal cutting of trees and illegal mining in Mt. Magdiwata that threatens its condition, the Agusan del Sur Environment and Sustainable Development Council (ASESDC) designed this tree parenting activity in order to start the never ending protection and care of the main source of fresh and clean water that supply San Francisco and the neighboring areas. Aside from that, we are now conducting research as to who really is the authorized government agency that will manage Mt. Magdiwata,” said Linao. “While climbing Mt. Magdiwata until here where we conduct this short program and to the planting area is sacrifice, we all know that priceless reward will be reaped by our children and our children’s children after we decide today to become part of the forces that will sincerely protect and take care of Mt. Magdiwata. We all know that even in our wildest dreams we can never restore Mt. Magdiwata if this will be totally destroyed and only in dreams our children can enjoy the fresh and clean waters that Mt. Magdiwata give us. Gov. Plaza therefore pledged his full support to this endeavor and promised he will always be with us for causes like this,” Provincial Administrator Jesusimo Ronquillo said. TANDAG CITY, April 22 (PIA) – A delegation coming from Eastern Samar province is set to conduct a “study tour” in Surigao del Sur today, April 22 to visit the eight provincial-owned district hospitals all operating under the so-called Income Retention System (IRS). According to Governor Johnny Pimentel, Surigao del Sur is the only province in Caraga region that implements the so-called IRS, saying that it has already started to attract the attention of other provinces, citing Surigao del Norte and Mountain Province. Now, he stressed that Eastern Samar is coming to the province for the same purpose. Pimentel bragged that in the entire country, there are only four to five provinces that are implementing the IRS, adding that the Department of Health (DOH) has even lauded such application. He continued to say that with the IRS, the trust fund of the respective hospitals here has swelled to an incredible amount. Pimentel admitted, however, that while on the one hand some provinces hate the negative effect of the IRS on the local coffers, but others try to replicate it, on the other, because of financial independence. All district hospitals here do not solely rely on provincial budget allocation but generate its own income, he hinted. BUTUAN CITY, April 22 (PIA) - A total of 2000 bags of free rice seedlings were distributed to 1,500 farmer recipients from 48 barangays here during a Ceremonial Distribution held at the DOP Center, Tiniwisan recently. According to City Agriculturist Engr. Alberto B. Buca, the recipients were those farmers whose rice fields were damaged during the onslaught of Typhoon Agaton first quarter of this year. Records from the City Agriculture Office have previously revealed that a total of 2,898 hectares of rice field worth P32.8 million was damaged due to the continuous rains and flooding brought about by the said typhoon. BUTUAN CITY, April 22 (PIA) - The Department of the Interior and Local Government (DILG) Region XIII conducted a series of coaching sessions entitled Review on the Full Disclosure Policy (FDP) and Orientation-Workshop on the Redesigned FDP Portal in five batches for Agusan del Norte and Butuan City; Agusan del Sur; Surigao del Norte mainland; Dinagat Islands and Siargao in Surigao del Norte; and Surigao del Sur on March 11-19, 2014. 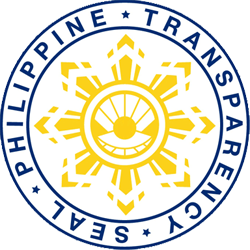 The activity intended to assist the Local Government Units (LGUs) comply with the full disclosure provisions of laws such as Local Government Code (Republic Act 7160, Section 352); the Government Procurement Reform Act (RA 9184); and the General Appropriations Act (RA 10352, Section 84) through the implementation of the Full Disclosure Policy of the DILG which allows the LGUs to upload the financial documents requiring disclosure as well as enables the public to view, download and print the financial documents of the LGUs. During the activity, LGU FDP Focal Persons were reoriented on the FDP and taught how to utilize the redesigned FDP Portal, the host website for all the LGUs’ financial documents. 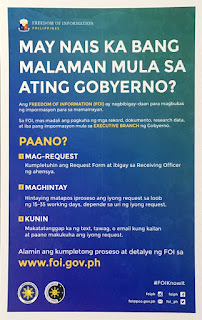 Ultimately, it was the intent of the department to promote to LGUs ownership of FDP compliance as part of their public accountability and transparency and that the activity is a way for them to appreciate more this constitutional responsibility to the public at large. SURIGAO DEL NORTE, April 22 (PIA) – Placer municipal mayor Felimon Napuli and his wife Daisy Napuli donated a parcel of land to the Department of Environment and Natural Resources (DENR) Surigao del Norte for the construction of the new Community Environment and Natural Resources Office (CENRO) building site. The deed of donations of the 1,000 square meter lot located at Barangay San Isidro, Placer, this province was formally signed by mayor Napuli and his wife and was received by DENR officials led by regional executive director Nonito Tamayo during the formal signing and ground breaking ceremony held recently at the said site. According to Tamayo, since there will be only one CENRO in the province in all its way of implementing the rationalization plan, the booming municipality of Placer will be a strategic place for the office. “Placer is the closest junction from different municipalities in the mainland such as Alegria, Mainit, Tubod, Claver, Gigaquit, Bacuag, Sison and Tagana-an, that is why we are very thankful to the bighearted family of Mayor Napuli for their generosity,” Tamayo said. On the other hand, Daisy Napuli on behalf of Napuli family said that they have donated the lot in order to bring the government closer to their constituents and extend further services to the province as well. Right after the signing of the deed of donation, a ground breaking ceremony for the construction of the P5 million CENRO Placer building followed. TANDAG CITY, April 22 (PIA) – The Department of Agrarian Reform (DAR) Provincial Office in Surigao del Sur bared its 1st Quarter Accomplishment Report for 2014. Provincial Agrarian Reform Officer (PARO) Benjamin Mataksil particularly stressed on the Land Acquisition and Distribution (LAD). He said that of the 5,666 hectare-target, 929 hectares have already been accomplished which is equivalent to 16.39 percent. Aside from the LAD, he noted that his office regularly keeps track of other major undertakings like the survey of new lands—536 hectares; subdivision of collective CLOA (Certificate of Land Ownership Award)—750 hectares; leasehold—3.2 hectares; recommendation and generation of Individual CLOA—94 hectares; and land distribution (LDIS)—1.3 hectares. AGUSAN DEL NORTE, Abril 22 (PIA) - Adunay plano si Cong. Eripe John M. Amante nga magbutang og Aquatic Research and Experimental Breeding Station alang sa lanaw, suba ug uban pang ilayahon nga isda sa lungsod sa Jabonga ning lalawigan. Mao kini ang unod sa iyang gipasaka nga House Bill No. 4025 nga iyang giduso ngadto sa kongreso aron kini maaprobahan ug mamahimo na kining balaod. Matod pa ni Cong. Amante, ang pag-establisar og aquatic research and experimental breeding station alang sa lanaw, suba ug uban pang ilayahon nga isda mahinungdanon kayo alang sa kausbawan sa tubignon kapanguhaan sa probinsya sa Agusan del Norte. Dugang pa niya makatabang kini sa pagpalabo sa teknolohiya sa pagpanganak og pagpadaghan sa nagkalain-laing klase sa isda, pasayan ug uban pang mga marine resources nga anaa sa presko nga tubig. Ang Lake Mainit, nga mauy ikaupat nga pinakadako nga lanaw sa Pilipinas ug giila nga pinakalalum nga lanaw sa nasud nga adunay kalawom nga 223 metro nga anaa mahimutang gitung-an sa Agusan del Norte ug Surigao del Norte, adunay dakong papel sa ekonomiya sa nagpalibot nga mga local government units isip maoy major fishing ground sa katawhan. Kini nga balaodon dako og matabang sa pagdumala ug pagpalambo sa fisheries resources aron makab-ot ang programa sa goberno alang sa food security.